Melted, grated, gooey or crumbled, cheese is a must have during the festive season. Some like to smother everything in it, while others love nothing more than a slice of mature cheddar with a fine glass of wine. 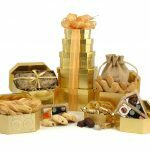 Choose the best gift for a cheese lover this Christmas with our fine selection of luxury cheese hampers. 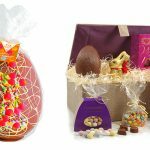 See our full range of cheese hampers here. 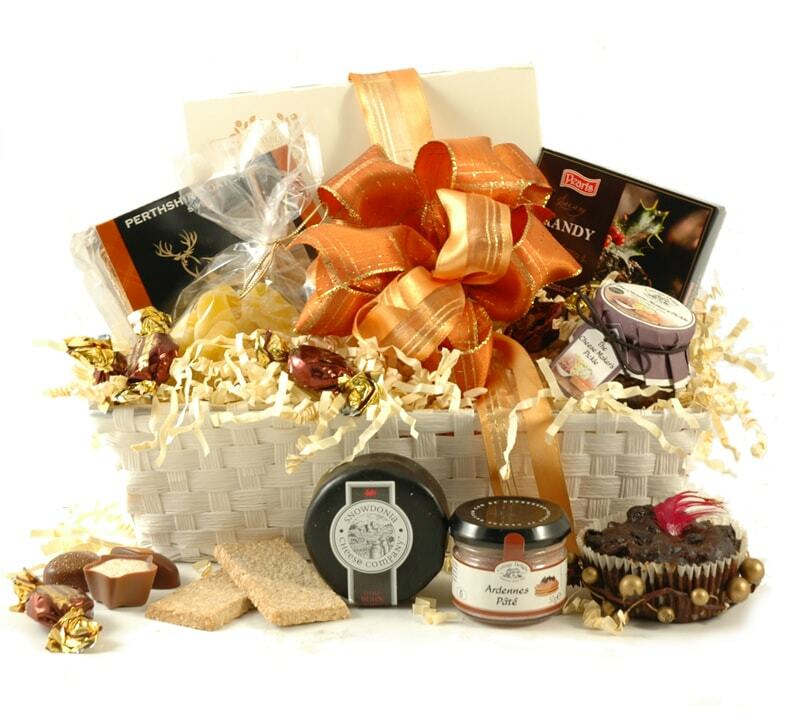 Perfect for the one who loves the classic combo of cheese and pate, this gift basket will make their Christmas all the merrier. 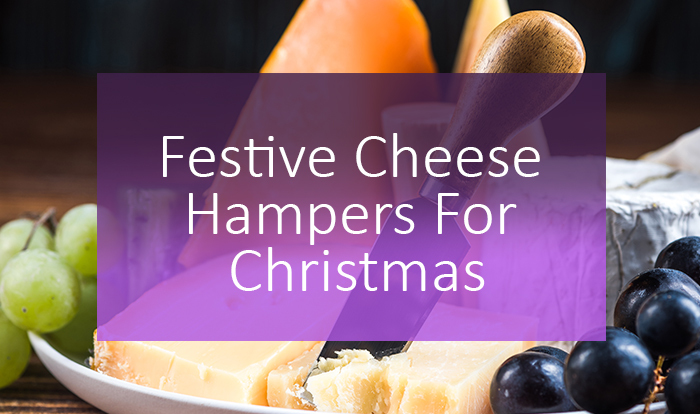 One of our popular cheese hampers, its filled with festive goodies to delight the foodie in all of us. 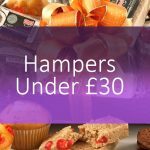 Packed with award winning treats, this is one of our bestselling hampers. 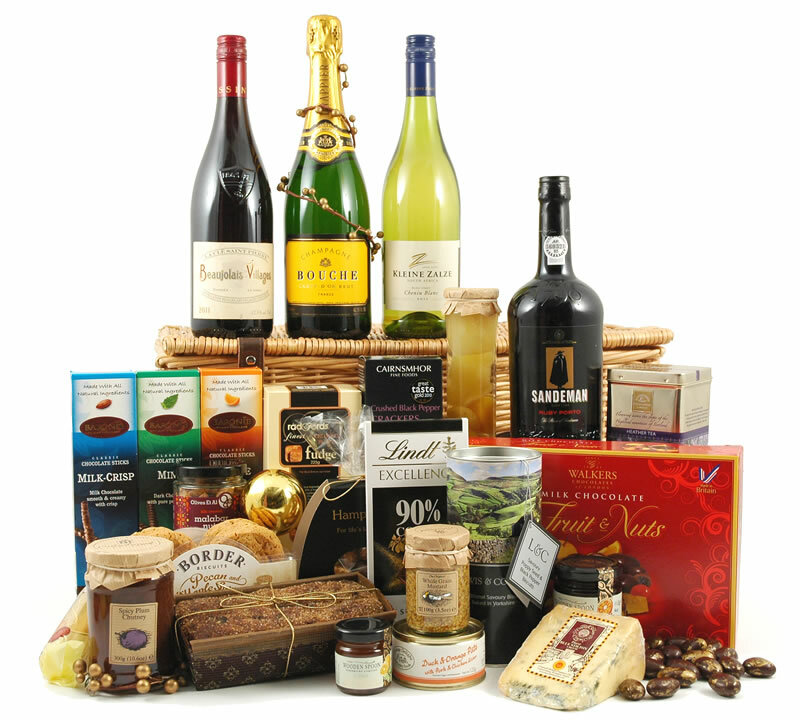 Treat the stilton addict in your life to a fine selection of items carefully selected by us. Paired with the wedge of blue stilton is a medal wining merlot, perfect for an after dinner treat! 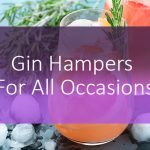 This timeless hamper is perfect to put under the Christmas tree. 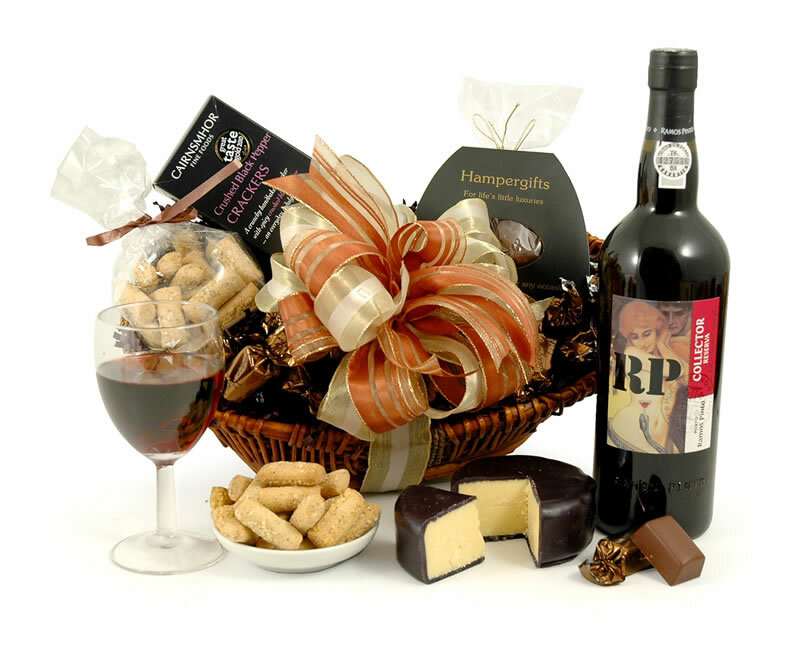 At the heart of this hamper is a Ramos Pinto Collector Reserva Ruby Port, coupled with a Black Bomber Extra Mature Cheddar Truckle. There’s a host of other festive delights included too! Cheese and chutney is an undeniably delicious combination. 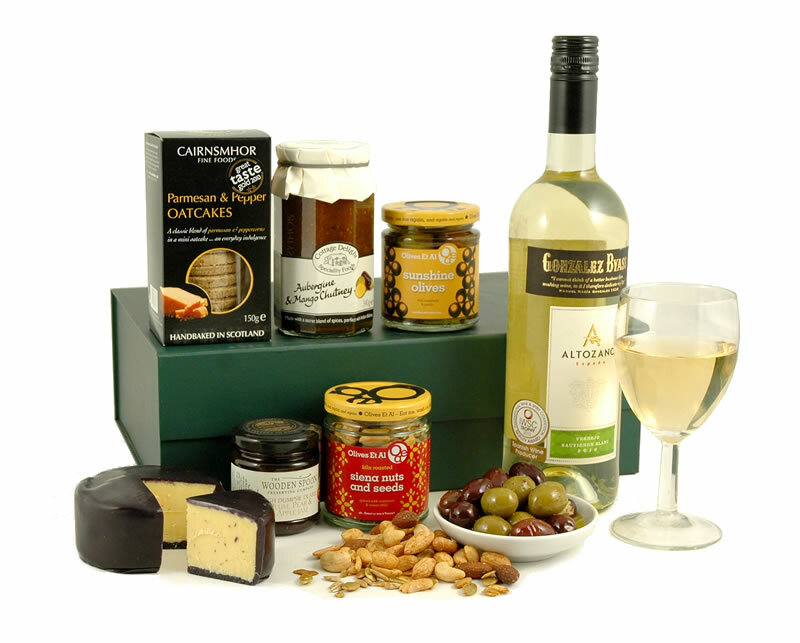 Our Cheese & Chutney Delight contains only award winning items, each one carefully selected by us. The beautiful green magnetic closing box holds an array of festive delights. 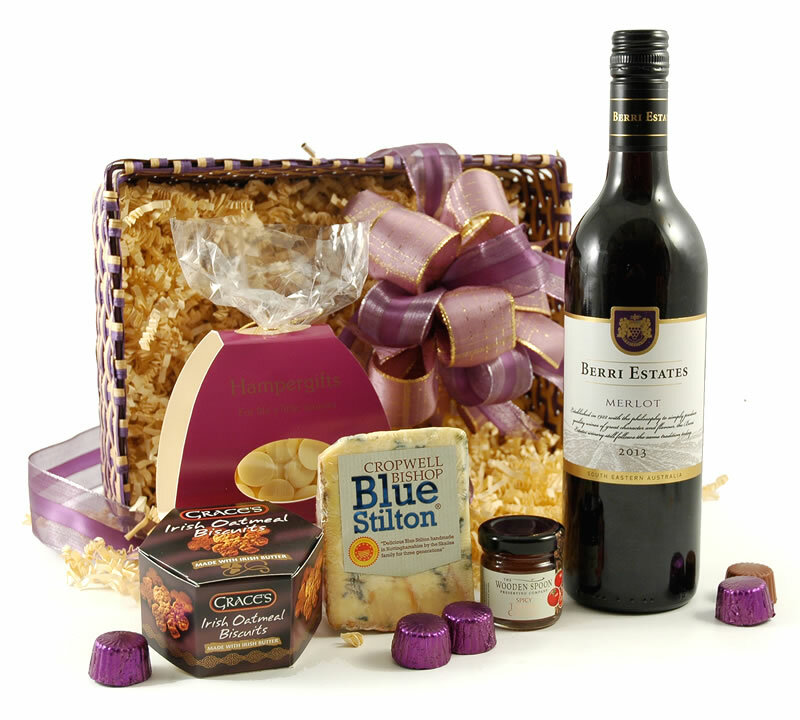 One of our popular cheese hampers, it makes a wonderful gifts for somebody who loves classic flavours. 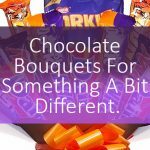 If you want to make a big impression this Christmas, our Christmas Splendour is the perfect choice. 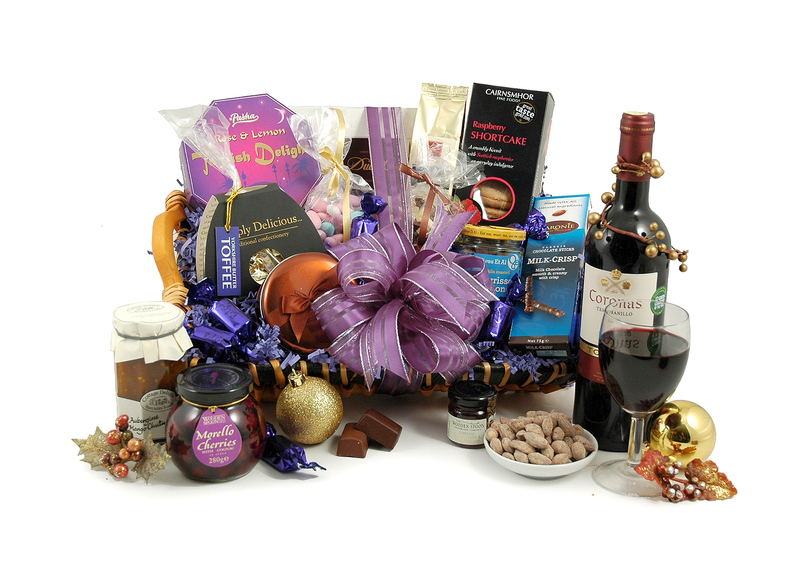 This huge gift basket is filled with over 20 mouth watering items. 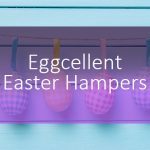 Treat the lucky recipient to award winning wines, cheese and so much more.